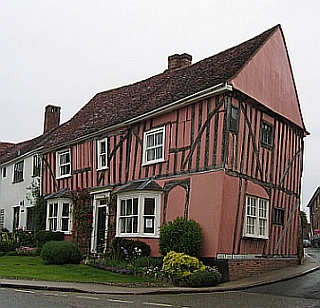 If you love history, Lavenham is a wonderful place to explore. And you can stay in this beautiful 15th-century, Grade II listed, detached holiday cottage, which - in my book - is a definite bonus, as holiday cottages in Suffolk are rarely more charming than this one. Lavenham, a medieval boom and bust town, has retained many of its historic buildings and has built a thriving community around them. During school weeks, busloads of youngsters explore what life would have been like in Lavenham's heyday. Visitors from all over the world wander its streets and explore the little shops. And Lavenham makes everyone welcome. Poppy cottage has retained many of its beams. A wood burner has been fitted to make chilly evenings cosy. And for the warmer parts of the year, there's a lovely walled sunny garden. You can visit the Swan Inn for lunch or dinner, if you don't fancy cooking. Or try your luck at one of the many cosy tea shops in town... you probably won't need any dinner after a proper afternoon tea! Holiday cottages in Suffolk come very well equipped and despite its age and protected status, Poppy Cottage has all the modern conveniences. Electricity, gas central heating, bed linen and towels are included in the rental, as is fuel for the woodburning stove. The cottage has parking, a garage and also offers an enclosed garden with furniture, so you can enjoy dinner outside. Inside, there are two Freeview TV/DVDs (one with iPod dock), radio/CD/iPod, a telephone for incoming calls, microwave, washing machine, dishwasher and freezer. A travel cot and highchair are also available. Poppy Cottage is a non-smoking property. Suffolk is a tranquil county and a treasure trove of history to boot. Many treasures have been lost to the sea - a whole Roman town amongst them - but equally much remains and is worth exploring. Here are a few attractions that should make it onto your must-see list when you're staying in one of the many wonderful holiday cottages in Suffolk. Only one of England's kings has ever been martyred for his faith and that was Edmund, King of the Angles, who is entombed in Suffolk's only cathedral. Incidentally, St Edmund was once England's patron saint, until he was replaced by St. George in the 13th century. One of England's greatest Anglo-Saxon treasures can be found on the edge of the busy little town of Woodbridge: a complete boat burial, believed to be that of the East Anglian King Raedwald. The boat, of course, did not survive, but the many everyday items and the famous golden helmet make this an Anglo-Saxon treasure you simply have to go and admire. Following the Battle of Hastings and his coronation, William the Conqueror richly rewarded the men who had supported his bid for the English throne. Roger Bigod, 1st Earl of Norfolk, acquired most of East Anglia. Framlingham Castle, still dominating the skyline of this friendly little market town, was one of the strongholds he built to secure the lands he was given. Visiting Lavenham is like taking a trip into the past. Back to a time when Lavenham cloth was sought after in England and Europe alike, back to a time when wool merchants, fullers, dyers, spinners, weavers and cloth merchants vied for space in this town, when streets and streets of timber-framed houses were built to show off the citizens' wealth. 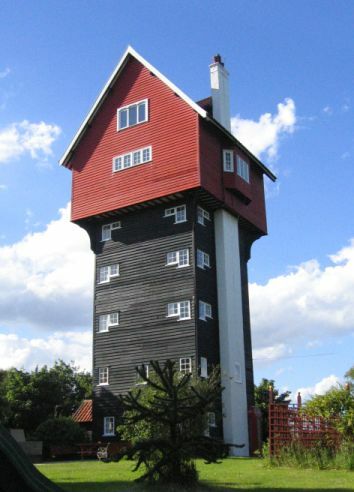 Holiday cottages in Suffolk make a great base for exploring. You can easily reach the market town of Beccles with restaurants and antique shops, and the seaside resorts of Lowestoft, Southwold, Walberswick and Aldeburgh are close. Dunwich Heath and Dunwich Forest are ideal if you like to walk or ride. And the tiny, quiet lanes in this part of Suffolk are wonderful for cycling. The Marshes at Walberswick and the Minsmere bird sanctuary are great for birdwatching and don't forget to visit Southwold, a quintessentially English seaside town complete with colourful beach huts, a lovely restored pier and some of the best fish and seafood you'll find anywhere. And anyone interested in Suffolk's vanishing history will no doubt visit Covehithe and Dunwich. Book your stay at Poppy Cottage! 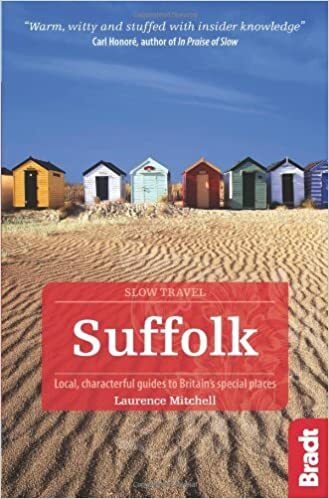 For more ideas of where to stay and a larger selection of holiday cottages in Suffolk click here!